The four P's of marketing are the base of the marketing mix. If you are wondering what the four p's stand for they mean: specifically: product, price, promotion, and place. Those are the main elements of any marketing plan. When we talk about this four necessary words, we speak about the brand development up to all the product design. 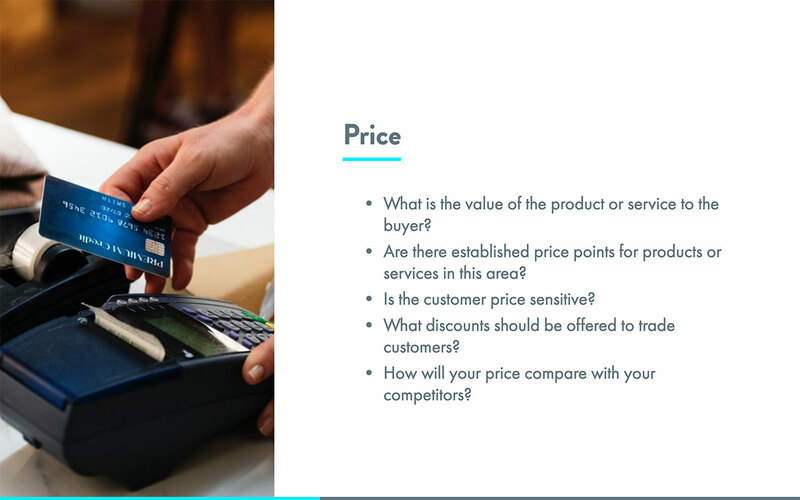 Afterward, it´s important to understand all the distribution and therefore pricing strategy to define all placement plans. 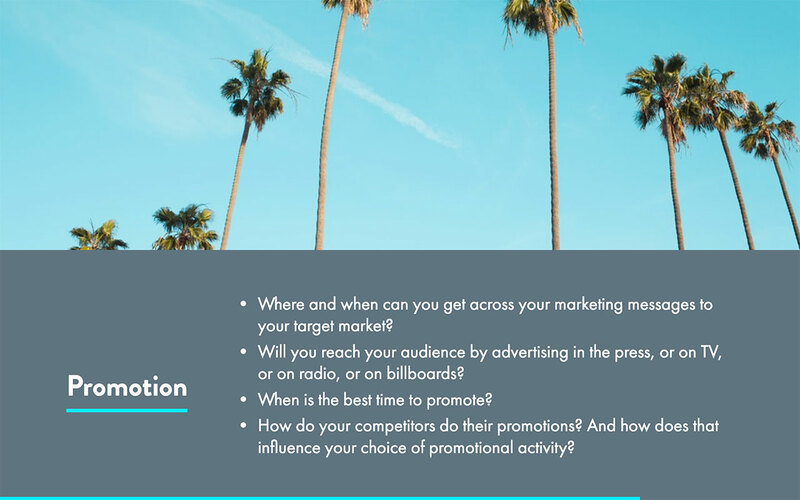 The final steps are overall promotion and networking ranging from traditional to digital marketing or even more outrageous styles of selling as guerilla marketing. 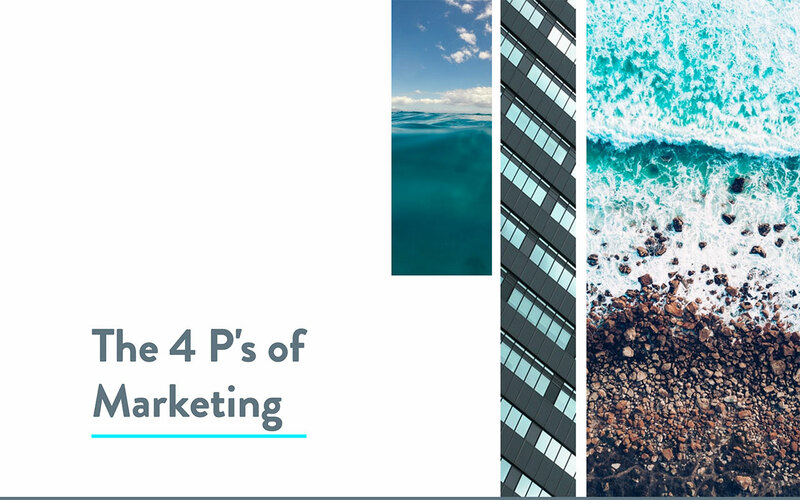 What does the four P's of marketing include? Narrating the story of your brand requires that you can place your audience in the whole spectrum. This means that you can effectively take them through the concept of your product up to the process of delivery and client experience. 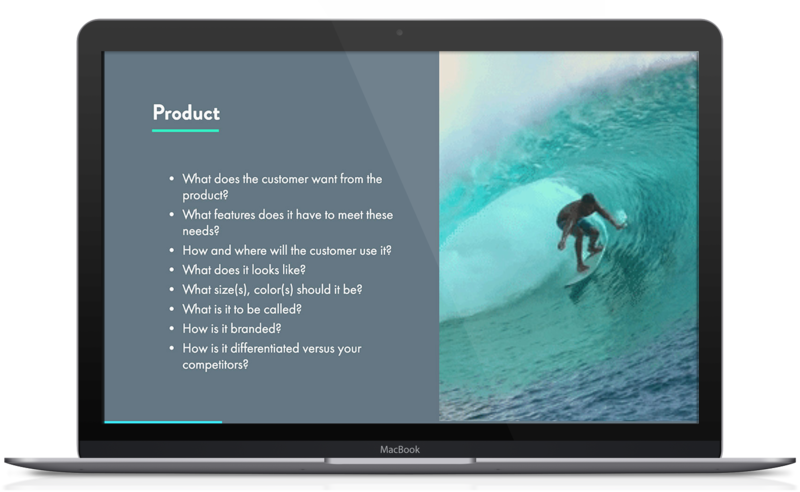 You will be able, along with this presentation to showcase all the erudition that took you to develop your product. This might include product insights and all the relevant information from appearance and usability. 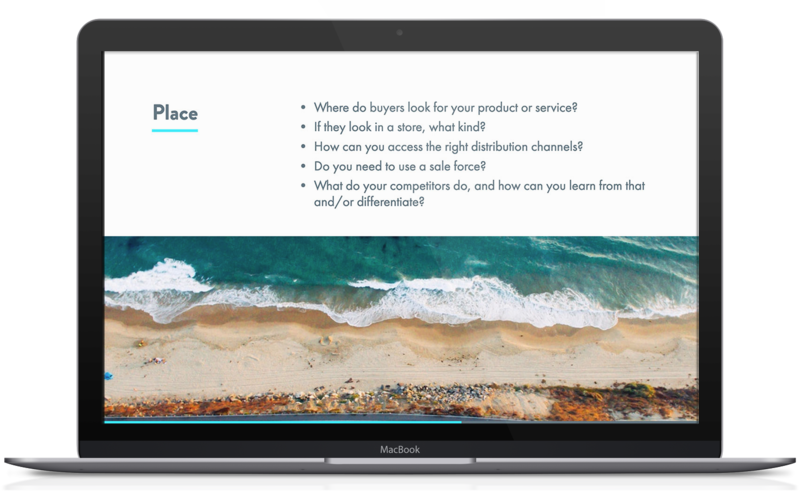 Be sure to include everything about how costumers will obtain the product, distribution channels, and overall sales plan. Stablish your general points for pricing to share the information better as well as on benchmarking. Don´t be shy talking about your distribution channels or logistics information. Your stakeholders will appreciate seeing the vast preparation and how this will lead to active promotion. Include all info related to the message and how you will deliver it to users. 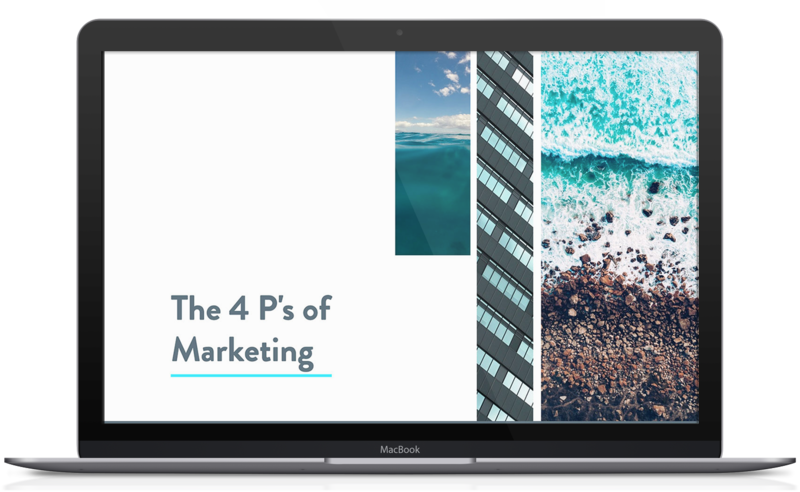 What information should you add in the four P's of marketing presentation? Make sure you include all the information relevant to all the four P´s. Add all the information about the product, placement, promotion, and pricing. 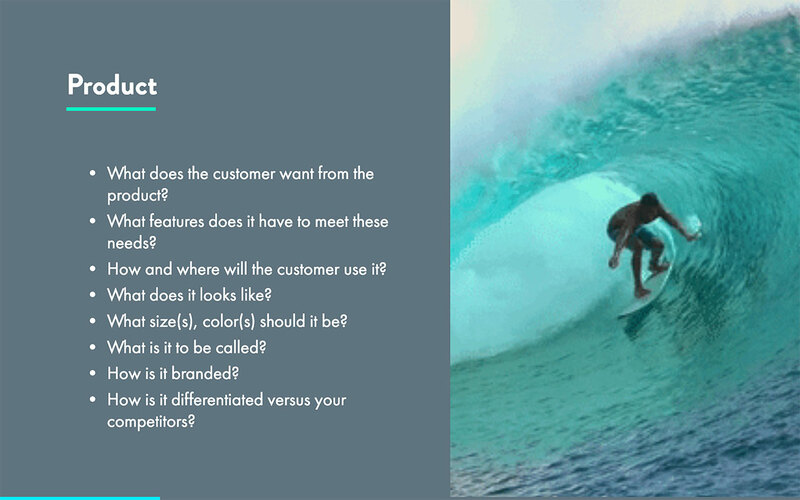 As well, here are some tips on how you can make this presentation more robust. 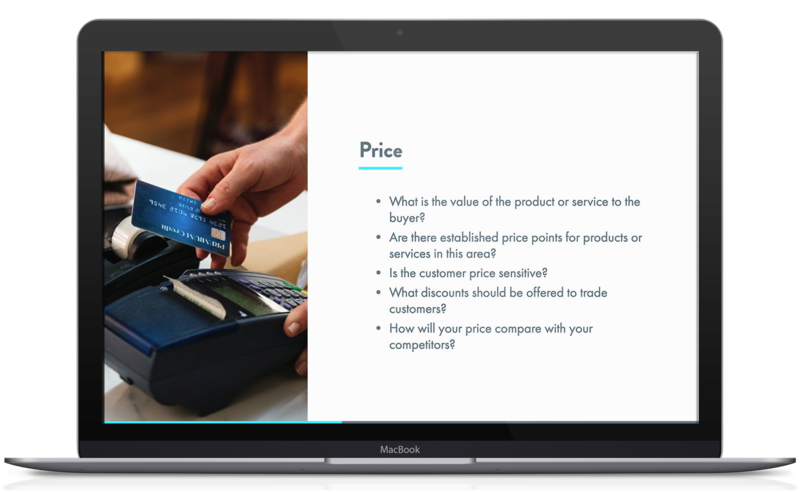 Create a robust presentation including your revenue streams as much as the information about how much is your product worth, and where you will sell it. 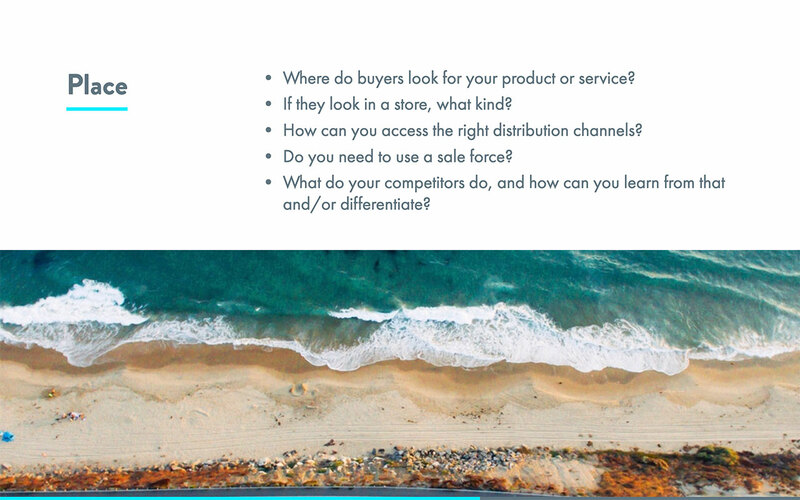 Include your preliminary distribution plan so that your audience can have an idea of where your product might be sold. 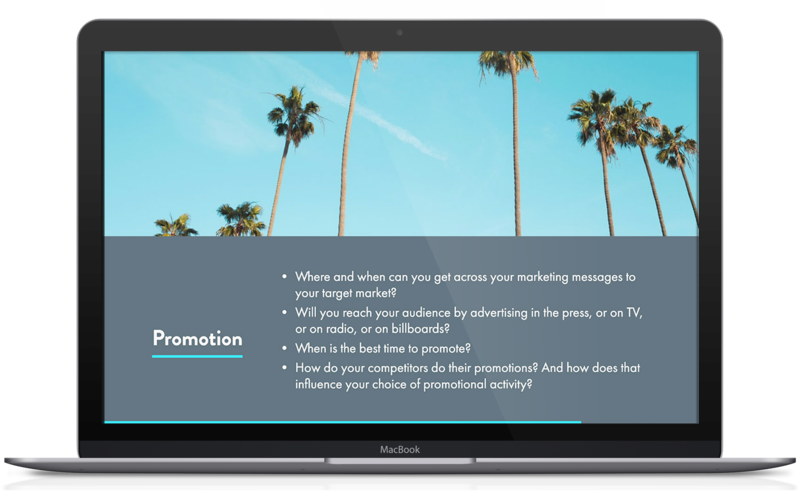 Close your presentation with an overall view of your marketing and advertising plan.